Stock prices contain information regarding the value and performance of their corresponding companies. Time series analysis methods are applicable to pairs of these companies to discern their interactions with one another. Results from these can be represented as a network to model the structure of entire stock markets. A new method is then applied which compares the centralities of the most central companies to a representation of the least central ones to examine the influence structure of different markets. The effects of different lengths of observing stock prices were also touched upon. We find stark differences in the sizes of influential groups among different stock markets. G. Chua, G. Sison, and G. Tapang. 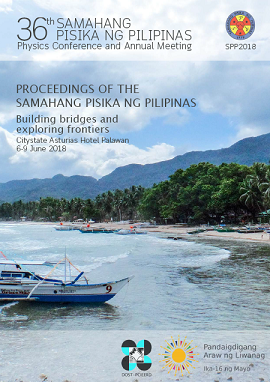 Stock market network influence structure analysis with time series and network methods, Proceedings of the Samahang Pisika ng Pilipinas 36, SPP-2018-PC-03 (2018). URL: https://paperview.spp-online.org/proceedings/article/view/SPP-2018-PC-03.